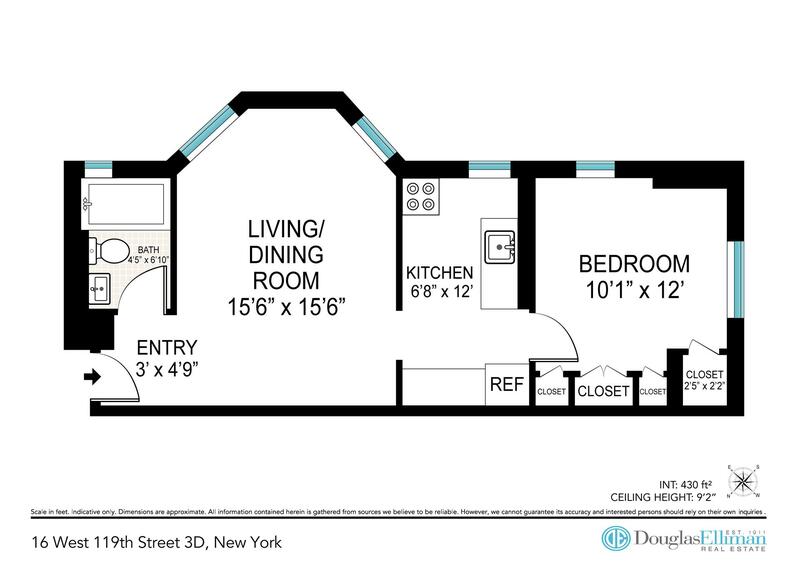 Great opportunity to own a fantastic 1 bedroom coop in the heart of Harlem! This unit features polished hardwood floors, 10 ft ceilings, great natural light and spacious living room. Privacy and serenity are maximized at this humble abode. Many original details have been retained so this makes a great starter apartment where someone can add their personal touch. Updated bathroom and kitchen fixtures with new appliances included. Located on the 3rd floor of a clean, quiet, walk-up building only steps from Harlem's top amenities including Red Rooster, Whole Foods, Apollo Theatre and much more. Only 1 block to Mount Morris Park, 2 blocks to the 2/3 trains and crosstown buses nearby. This is an HDFC building, income restrictions do apply: 1 person - $110,220, 2 people - $126,060. Financing available. This awesome deal will not last. For more information or to schedule an appointment to view, call now.